There are plenty of excellent sporting nations in the world, but it’s fair to say the United States is up there with the best. At least, Americans love their sports about as well as any other people in the world. Accordingly, the U.S. has over the years built some extraordinary sporting venues and developed some excellent traditions that make sport a great foundation for tourism. All across the country, and at all different times of year, there are excellent stadiums to visit and great teams to watch. So if you’re interested in something of a sports tour of the country, read on for our picks of venues. 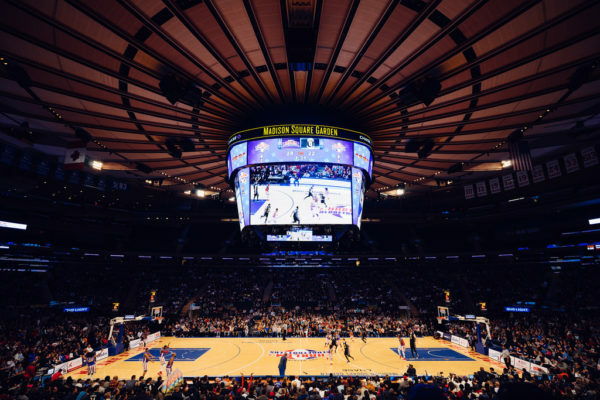 This is actually one we’ve written about before, and it’s probably the most famous basketball arena in the world (even if its resident New York Knicks aren’t particularly good and haven’t been for a while). It’s a place where you can feel the history, and the atmosphere can be terrific even for a mediocre game. Additionally, like many of the places we’ll mention here, it’s an arena you can check out even if it’s not basketball season, because there’s always some kind of concert or event in town. Not to harp on New York, but Yankee Stadium should be seen as well. 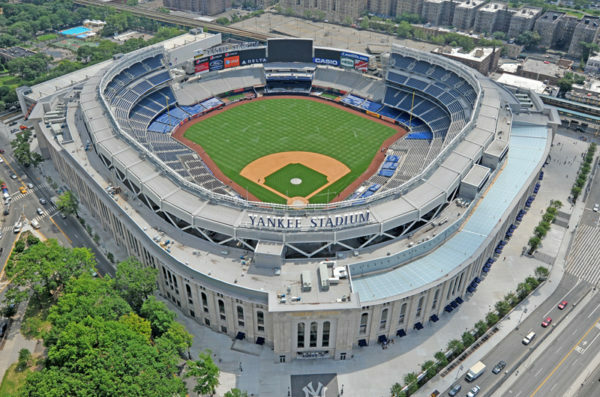 The Yankees haven’t won a World Series since 2009, and the current Yankee Stadium has less character than the one that closed in 2008. But the charm and mystique aren’t lost. When the Yankees organization got in on the eSports boom last year, they were still referred to as the most popular sports franchise in the U.S., and the team happens to be up-and-coming (which should add some buzz to the stadium in the coming years). All this aside though it’s just a jaw-dropping venue physically. This is another baseball stadium, and one that’s about as pretty as they come. It’s the home of the San Francisco Giants, which has been a very successful team in the past decade or so, and is perhaps most famous for its situation right on the edge of McCovey Cove. This is where Barry Bonds, one of the most legendary homerun hitters in baseball history, landed a lot of his most impressive shots (and where hopeful kayakers would scramble to collect the balls). 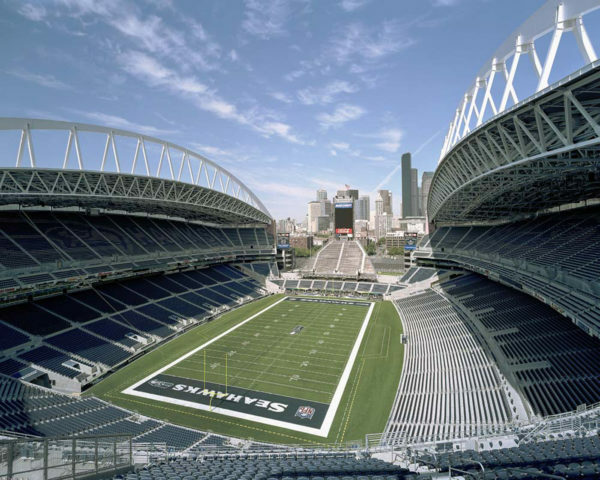 CenturyLink Field is a stunning football stadium known for having stands about as vertical as can be allowed. This contributes to a very loud atmosphere for home American football games for the Seattle Seahawks – but it’s also made this one of the best places in America to watch ordinary football. A few years ago a “power ranking” of MLS fan bases noted that the Seattle Sounders are the only MLS team that can come close to filling an NFL venue, and that makes CenturyLink an incredible place to see a match. The stadium that gets the most attention in Boston is Fenway Park, and with good reason. It’s an historic baseball venue and one positively oozing with character. 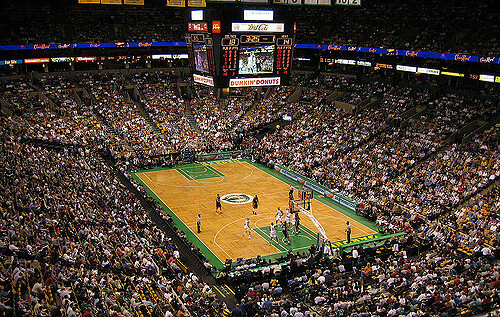 TD Garden houses two major teams though – the NBA’s Celtics and the NHL’s Bruins – and thus gets the nod. It’s an arena that feels somehow massive and intimate at the same time, which is a testament to the Boston fans – inarguably some of the most passionate in American sports. Get there for a playoff game for the Celtics or Bruins and your ideas about whether U.S. fan bases can compete with, say, English Premier League supporters might change.